3rd pair of shoes I've ordered in 2 weeks! Tis the season! Believe it or not I actually ordered these for work. 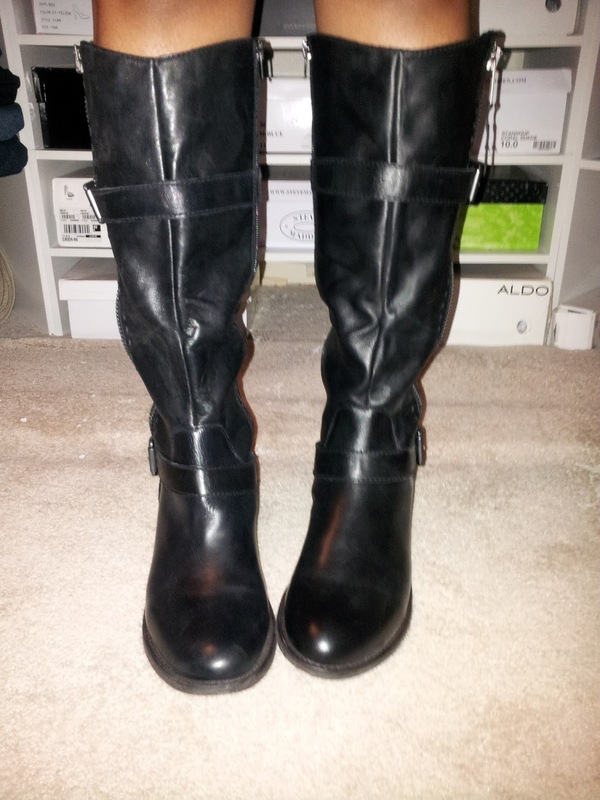 I work for T-Mobile, and I can't stand a boring uniform so I wear knee boots with it. Luckily my manager allows me to express myself in this way. 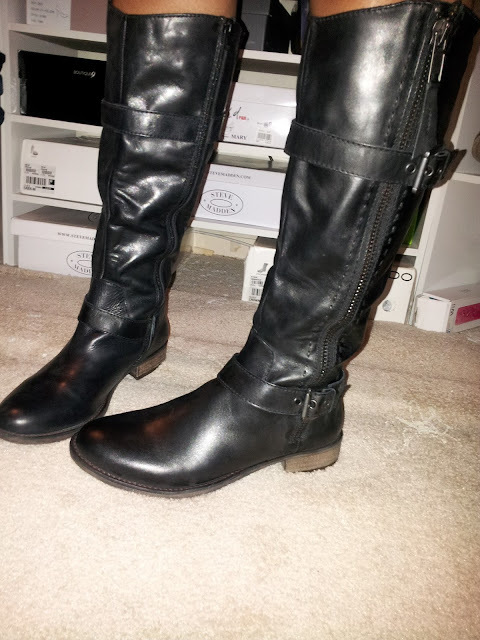 But after a year in the same boots they are falling apart. :( They were a gift from my late God mother so I plan on getting them fixed and no longer wearing them to work. Anyways, here are the new "work boots"! 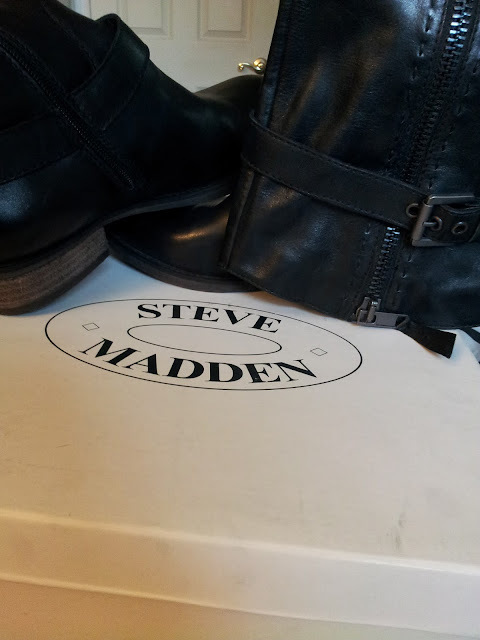 I know what you may be thinking... who orders Steve Maddens for work at T-Mobile?! Lol, THIS GIRL. And the best part is these bad boys were orignally $199.99 but I got them on sale for...$39.99! You won't find another T-Mobile employee working in $200 boots! My next few shoe purchases will probably be sandals! Can't wait to get on the hunt.